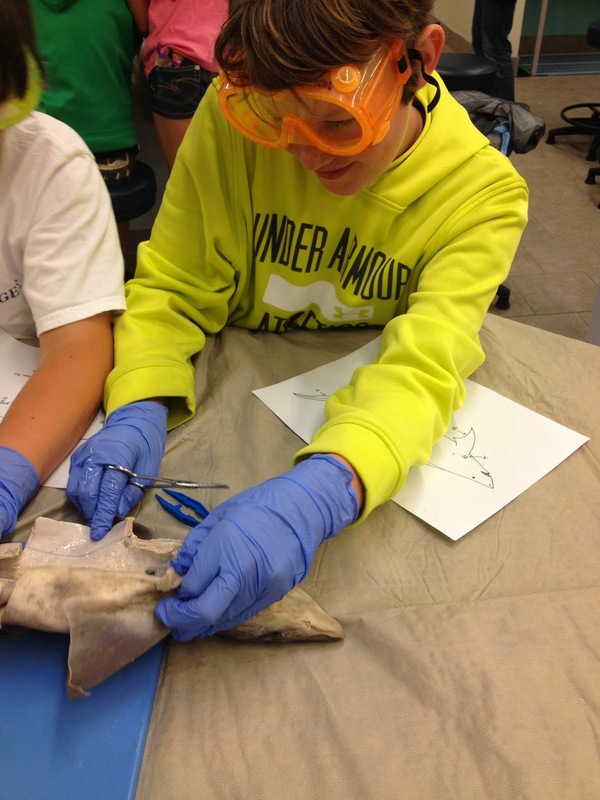 Lately, I have been thinking about how my teaching has evolved with my students since the beginning of the school year. 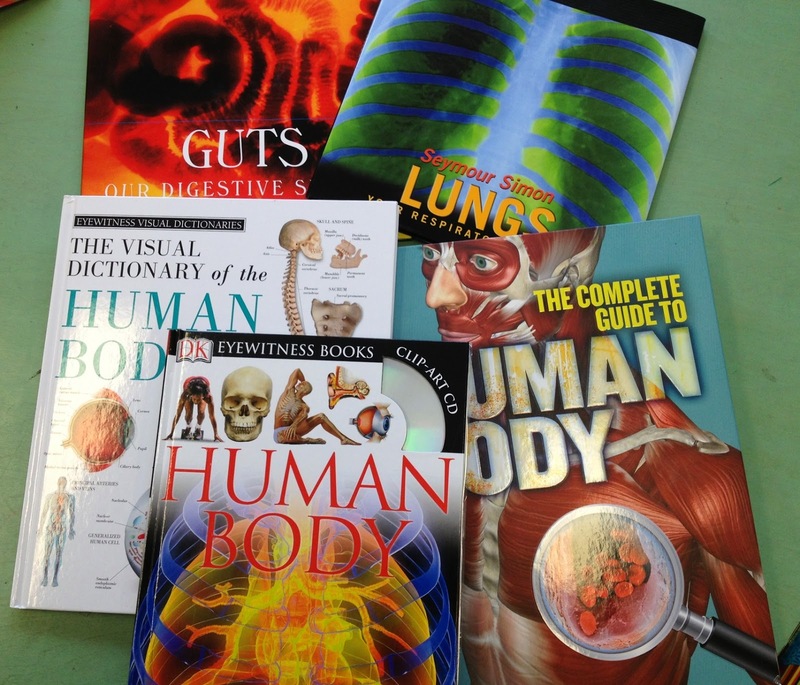 I have taught many different reading comprehension strategies, and how to implement them DURING and AFTER reading. I feel like every one of my students has a really good grasp of the concepts. 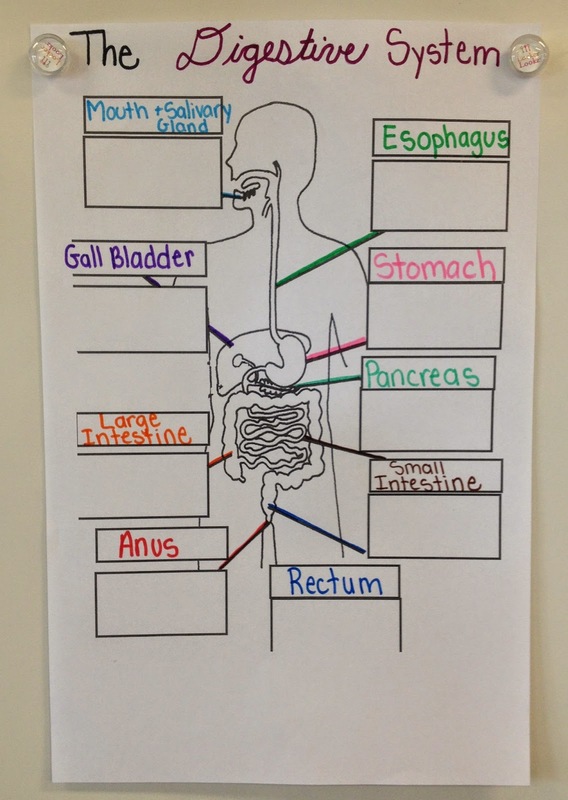 In order to guide the class throughout the year, I always provided some sort of outline or graphic organizer to ensure they were "on the right track". 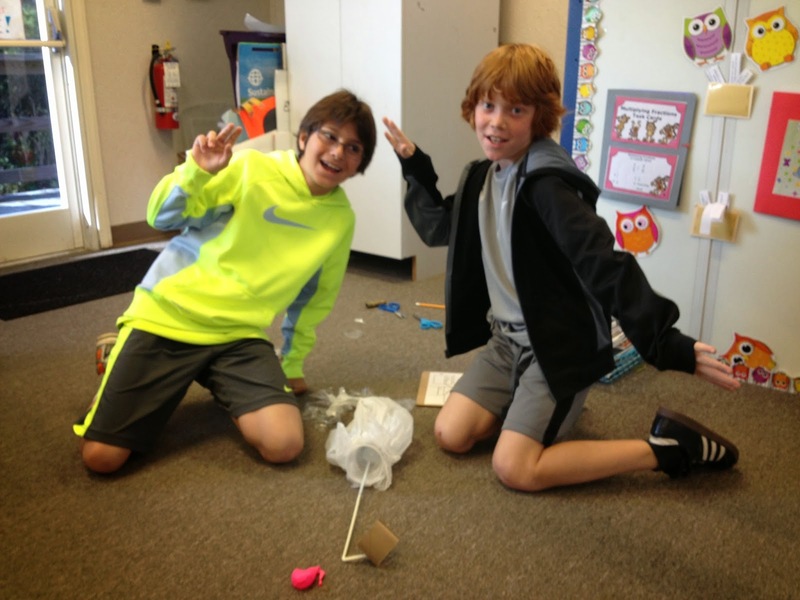 They would work in groups or independently at home and then come together, discuss, and work. At this point in the school year, I am asking my students to organize their thinking on their own, though still within a cooperative group. In other words, without graphic organizers or me modeling any sort of strategy, but with each other to use as references and guides. 3. Come together and reflect on what was successful, let's talk about what you learned! This week was the first week that I implemented this "new way" with them. 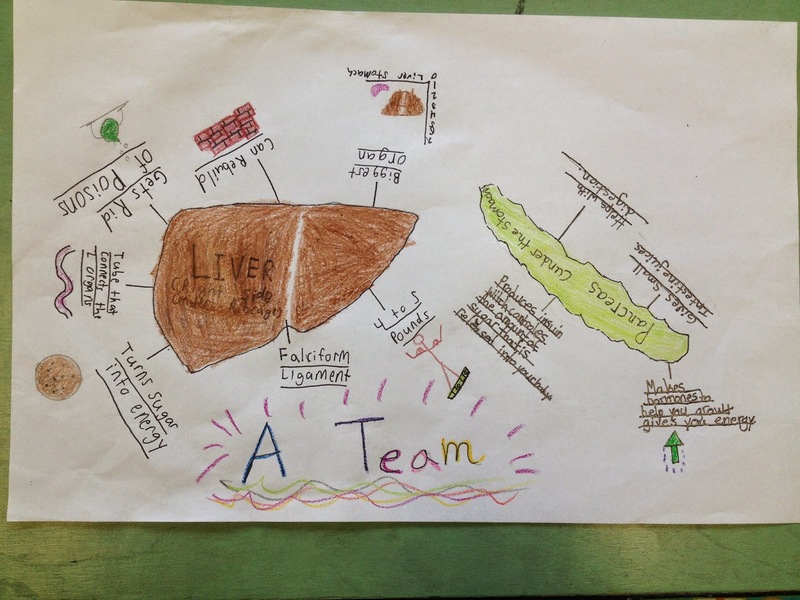 It was interesting to see my students' growth during their group work and essentially with no assistance. 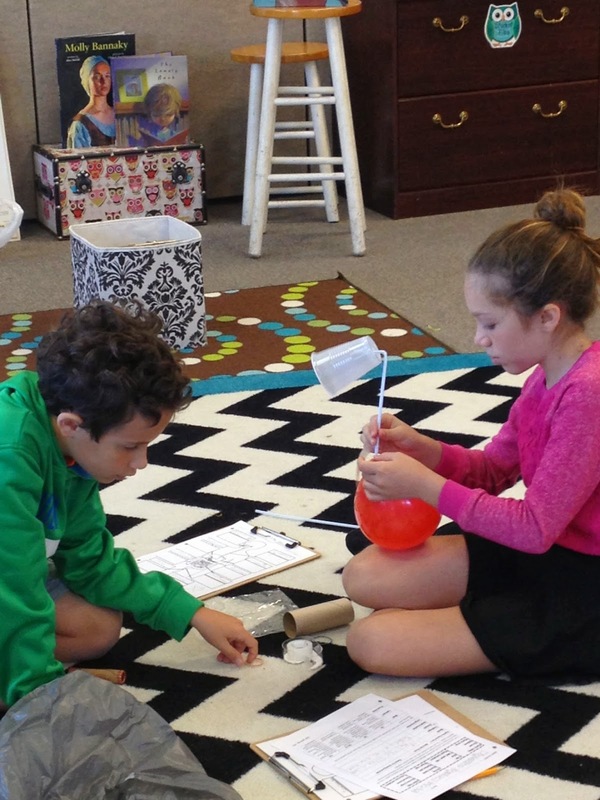 Of course, I am still circling the room to check on their progress and stimulate conversation when needed, but surprisingly (and maybe it shouldn't be so surprising! ), they are doing a great job on their own! I could just sit back and watch with a big, proud smile on my face! 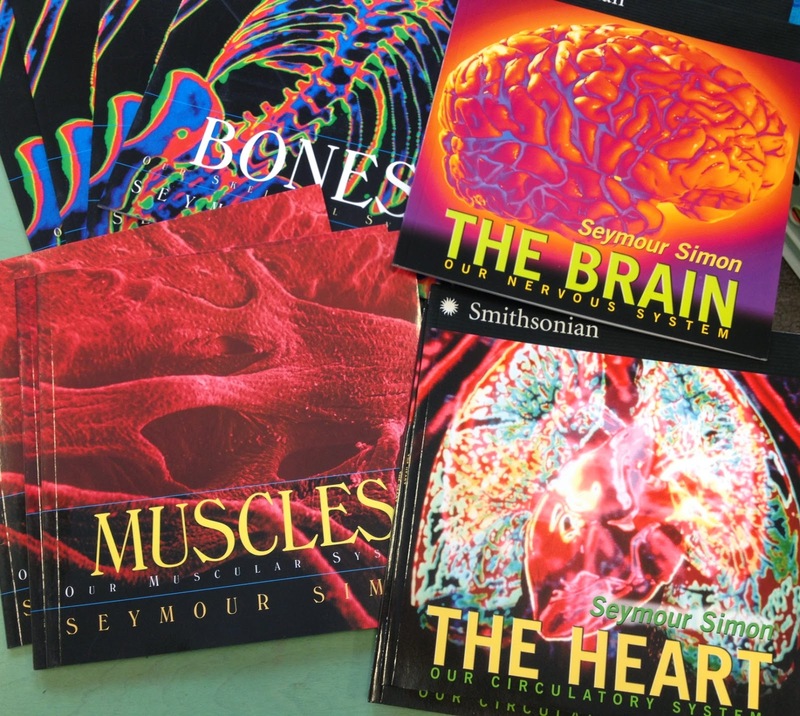 Each group was assigned a different book by Seymour Simon (Bones, Brain, Heart, or Muscles). One at a time, they read a page from the book. After each student had read once, they looked back and decided which ideas were MAIN ideas and how to support the main idea with details. I noticed that some students were using post-it notes to jot something important down. I also saw students either reread a section or they would ask a group member to explain what they didn't understand. It was really wonderful to see this! It was a very awesome 'teachery' moment for me! 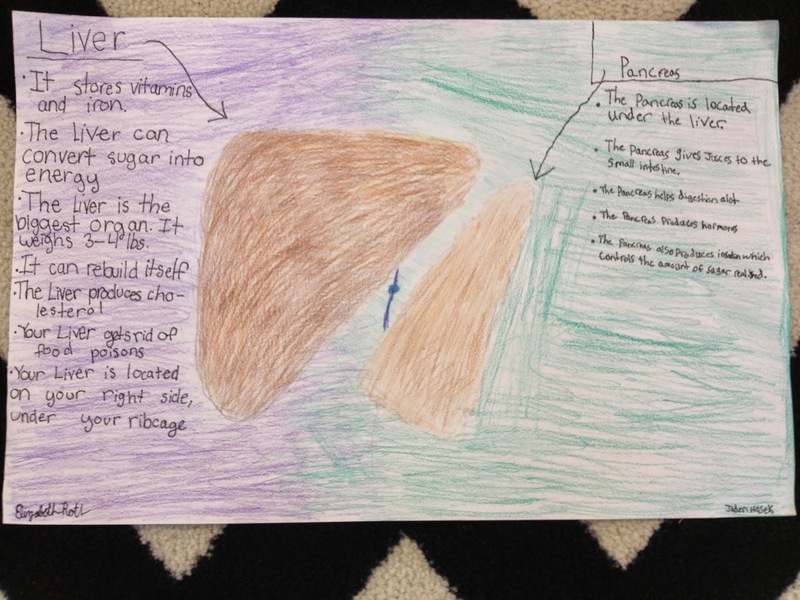 One of my students told her group that she didn't really understand the paragraph she just read, so another student used the diagram in the book to explain the concept in his own words. I was thinking, "Yes!! This is what I am talking about!" When everyone was finished, we came back to the carpet and discussed the wonderful moments I saw during their work time. I think it is extremely important to compliment, so when I need to focus on a growing edge, students are open to listening and will see that it is important. I also make sure to ask them to reflect and share what they noticed while working - what was successful, what wasn't. 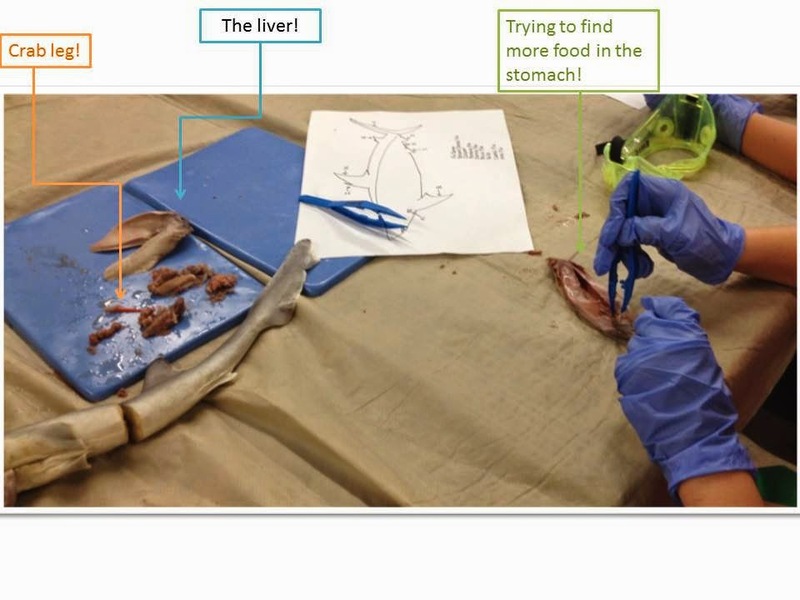 How has your teaching evolved since the beginning of the school year? *Beware of TONS of pictures! Her dog always ate her cat's food! So she came up with "The Food Station" Her cat can get up there, but not her dog. (She tested it out) The second picture came from home when she was experimenting with it. "Easy Build Mason Bee House" to keep Mason Bees safe until they are ready to hatch. "Cup Boat" floats in the pool and even has a dock station for your ipod! 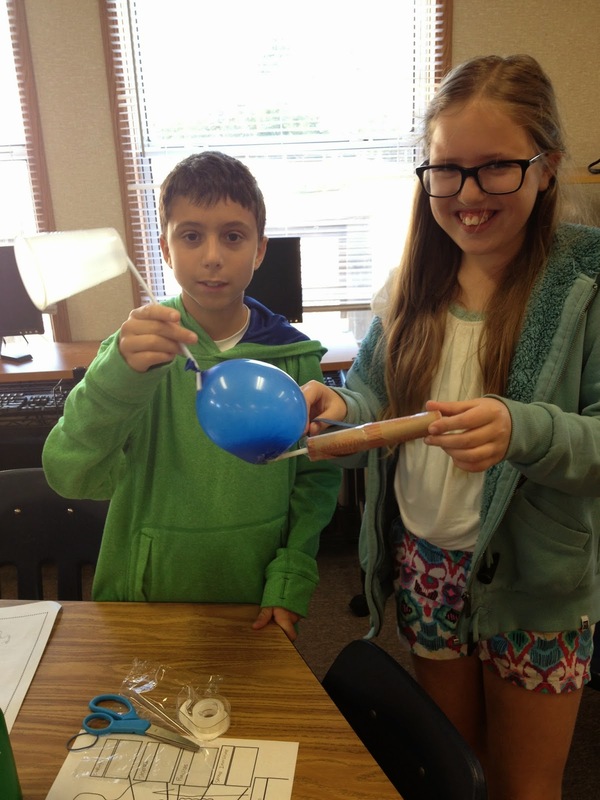 "Weather Vane" made with a measuring vile to collect rain and determine how much rainfall and a Pringles cap to determine the direction of the wind! He demonstrated it's effectiveness with a fan! "Sock Sprouters" A place to keep your socks so you don't keep losing the other one! Made from a plastic egg carton! 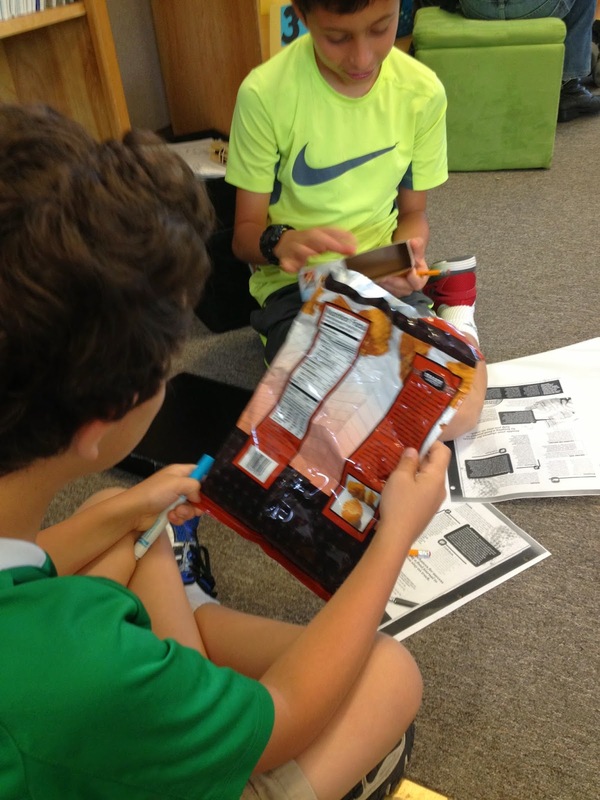 "A Toy Guitar" made from cereal box, paper towel roll, and rubber bands! 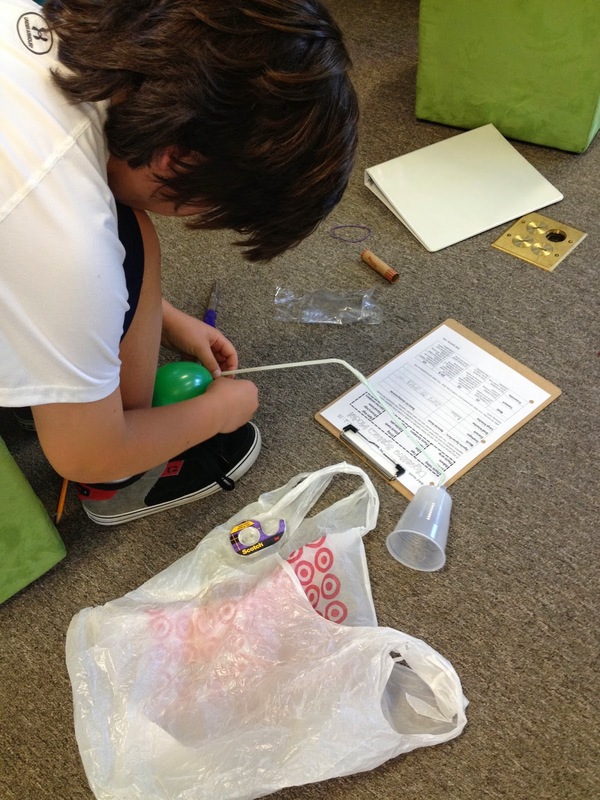 "A Watering Station" made from a used milk container, an old water bottle, and a straw! "A Mother's Day Tray" for breakfast in bed! Made from a box top, old magazine pages, bag handles, aluminum foil for the feet, and tissue paper. He made that flower himself from used materials!! "Can Do Robot" looks like decoration, but can also hold specials things inside! "The Winkler Sprinkler" to water plants with. Made from a milk container, old paint and rocks. She poked holes in the cap to make the water come out like a sprinkler! 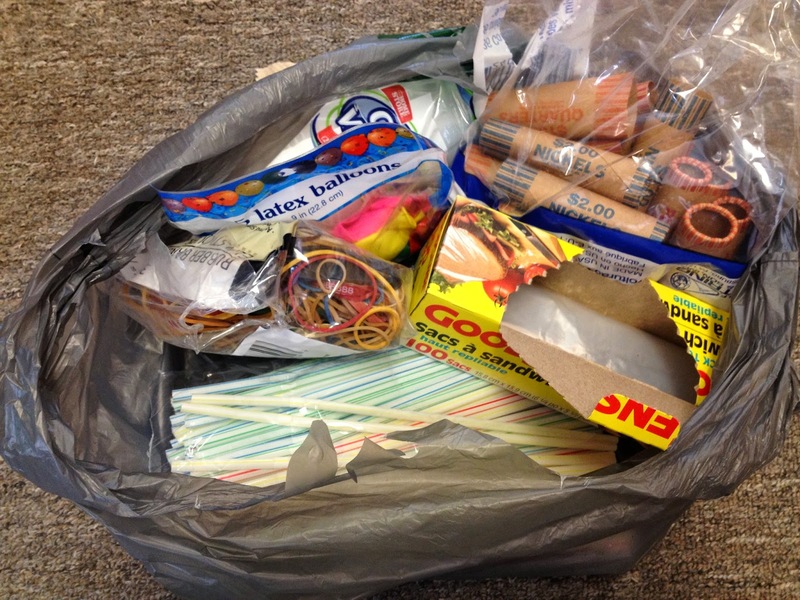 "One Step at a Time: RECYCLE" game. Made from an old pizza box, bottle caps, and aluminum foil. This game has you help the environment as you play! For example, you might land on a square that gives you one minute to find a can that was littered outside and put it in the recycle bin! "Fabric Shapes" is a game that replicates 'I Spy'. The directions tell you which shapes are inside the jar, you have to shake the jar and then try and find the shapes! 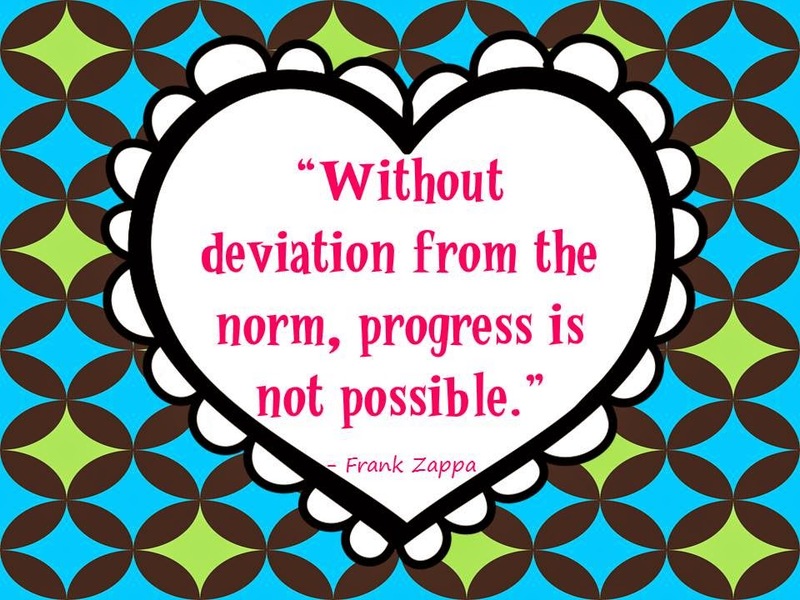 Moving from the Digestive System to Nutrition felt like a perfect transition. To introduce Nutition, I found this great (free) PowerPoint presentation on Teachers Pay Teachers. You can find it here. I have never taught with a PowerPoint before. 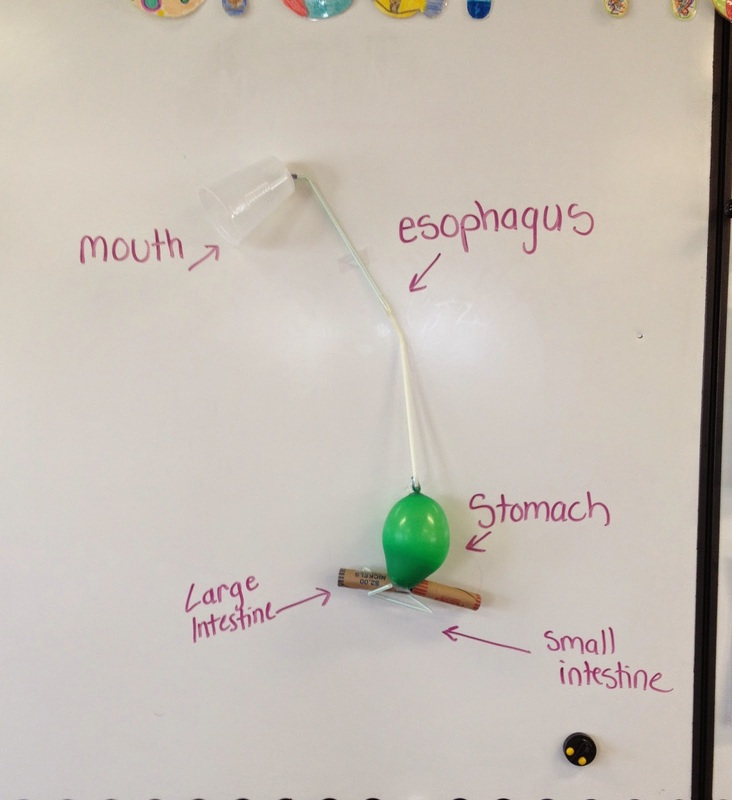 I thought it was effective as an overview for the students, but I am not sure I will do it again. Nothing against PowerPoints, it just wasn't my cup of tea. 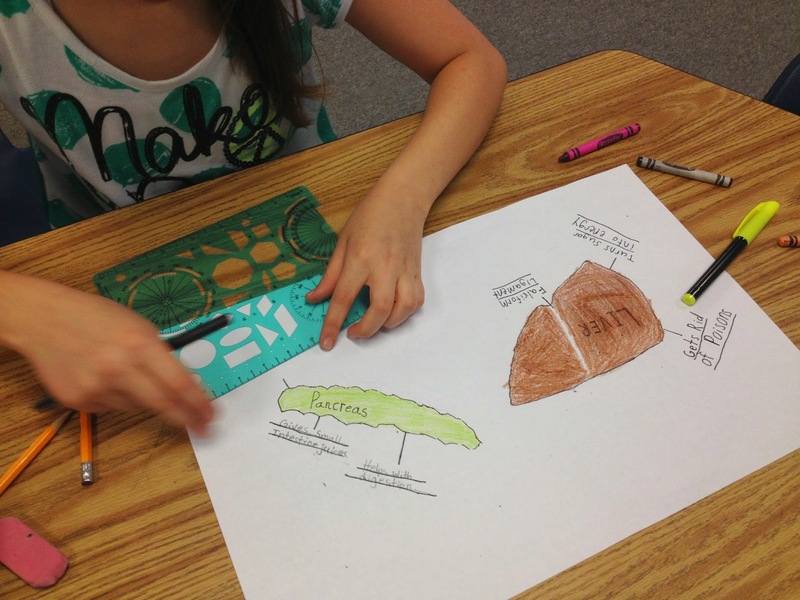 So we did a quick overview of nutrients, minerals, and the different food groups. I like using "My Plate" (www.myplate.gov) to determine the amount of each food group. 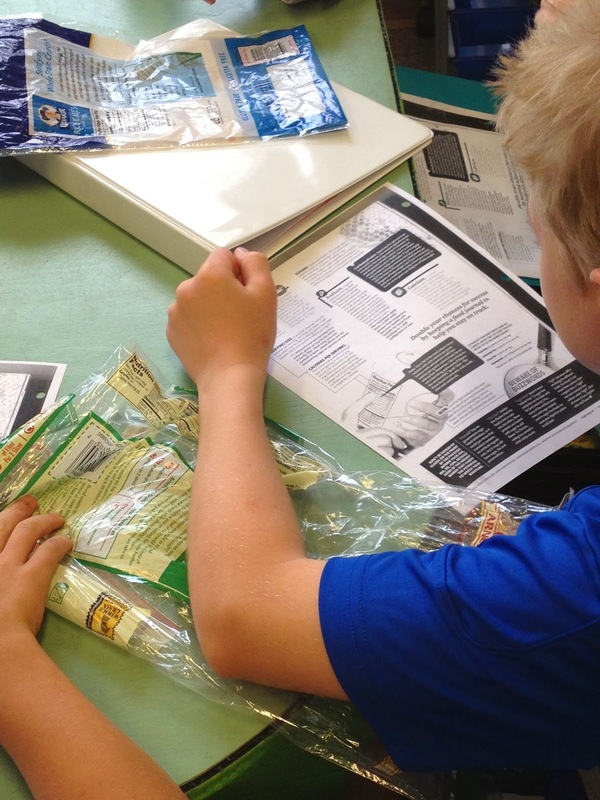 Afterwards, I gave the students an article from a health magazine that explains each part of a food label and how much of each category is considered healthy. 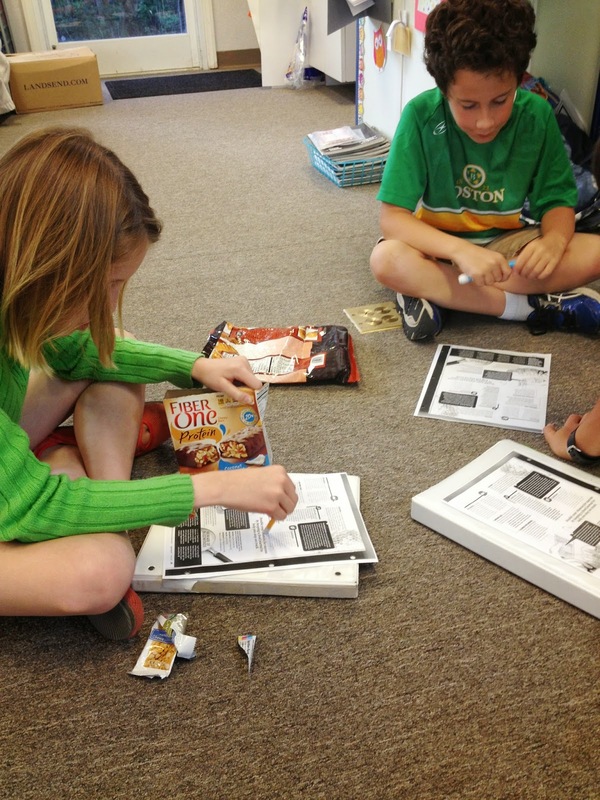 The article also discussed labels that can be deceiving, such as, low-fat (might mean more sugar). 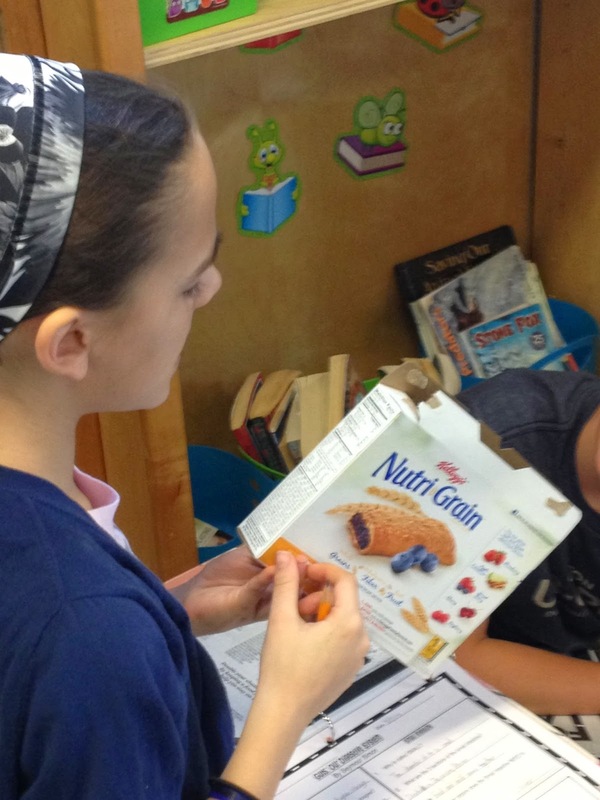 I gave students different food labels and each had to determine whether the food was healthy or unhealthy. And if the food was healthy, what makes it healthy? I.e. is it a good source of fiber? Protein? 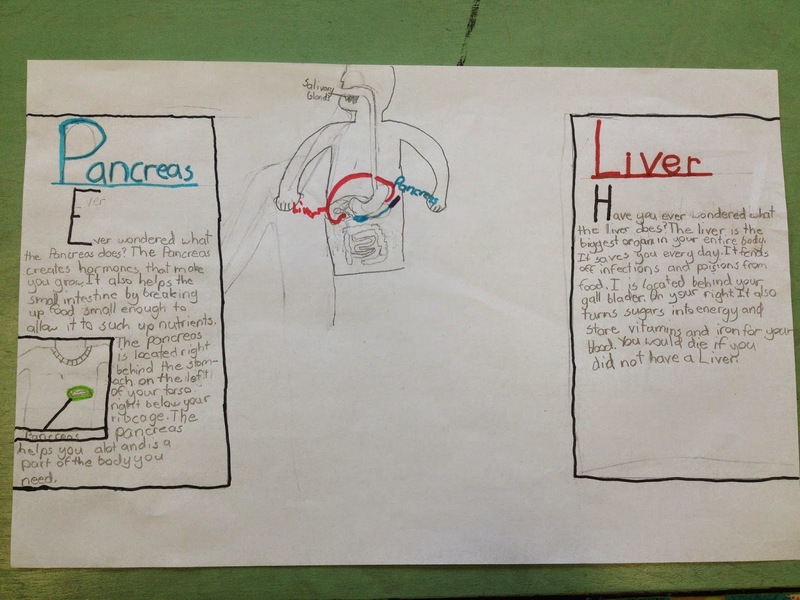 This week, we focused on the functions of the liver and the pancreas. 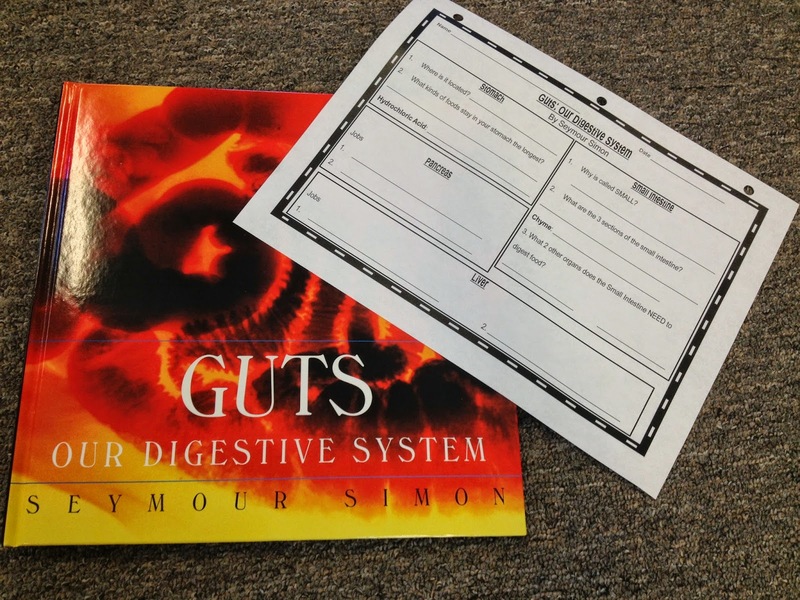 I was able to teach about the organs by reading the book, GUTS: Our Digestive System, by Seymour Simon (love his books!). 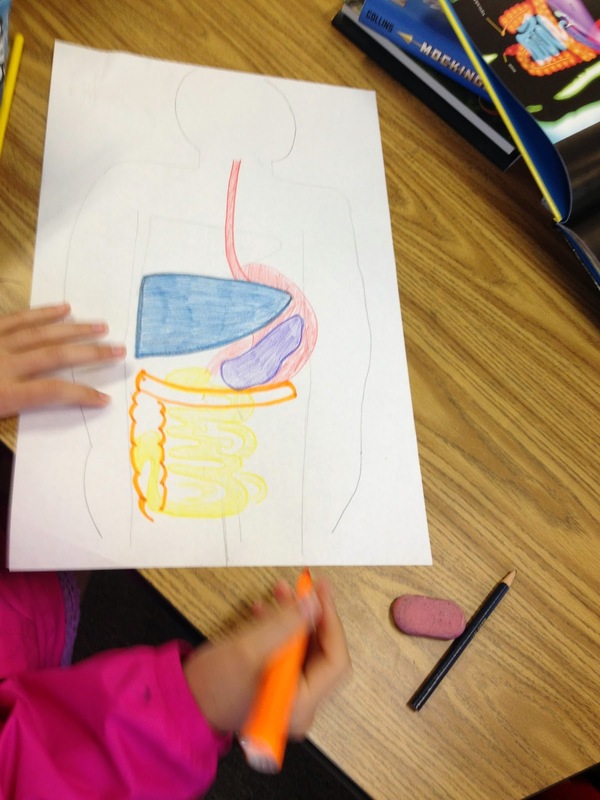 While I was reading, students were completing a chart about the organs. The chart helped guide the discussion during the reading. 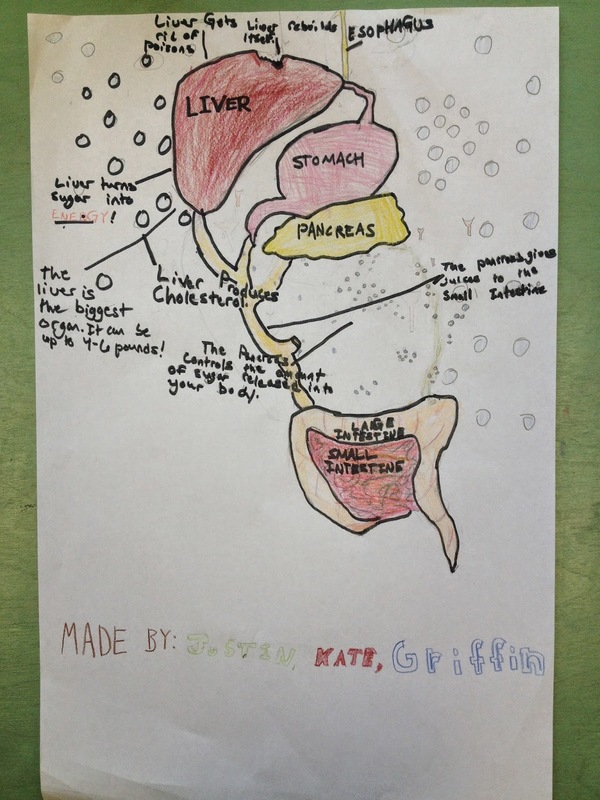 The next day, we took another look at certain pages in the book, and the students helped me to list facts about the liver and the pancreas on the easel. 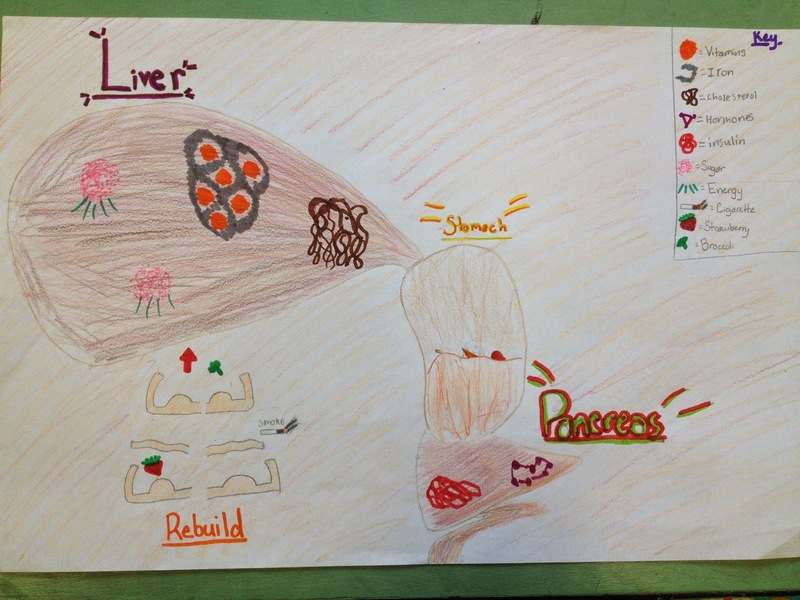 Afterwards, I gave groups a blank piece of 11x17 inch paper and asked students to create a poster that depicts the functions of the two organs. Whenever I share with the class an equation that they have never seen before, I love to first ask, "What would you do?" before I model or explain a solution. 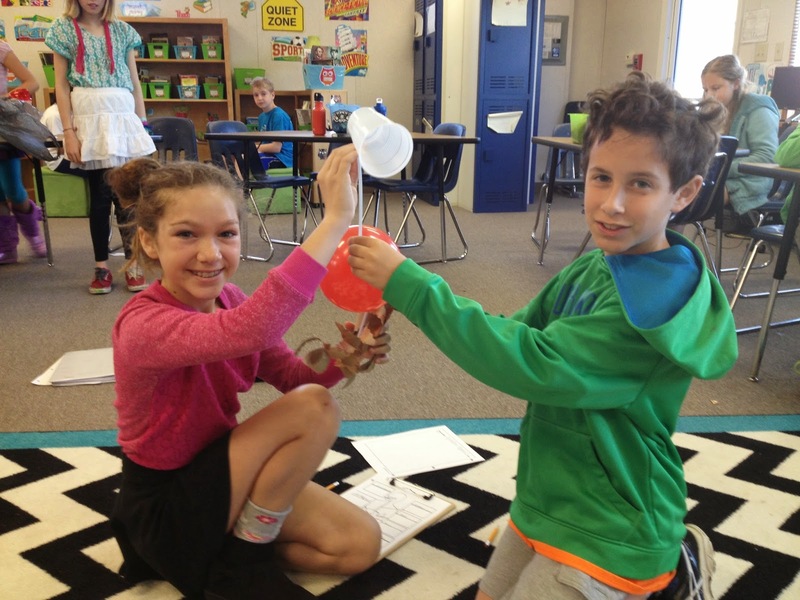 Most of the time, we can get to a solution (or two, or three!) and I end up not even teaching it! When a student suggests a strategy, I have him or her walk me through the steps and I model what they say on the board. The other students comment on whether or not they think this is correct, why or why not? Sound familiar? 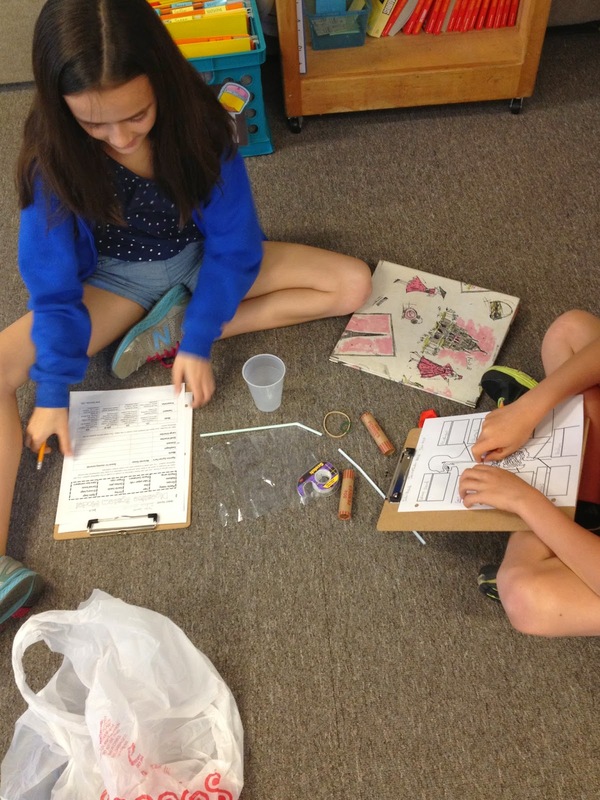 Our math class has morphed into a similar version of Investigations Math. 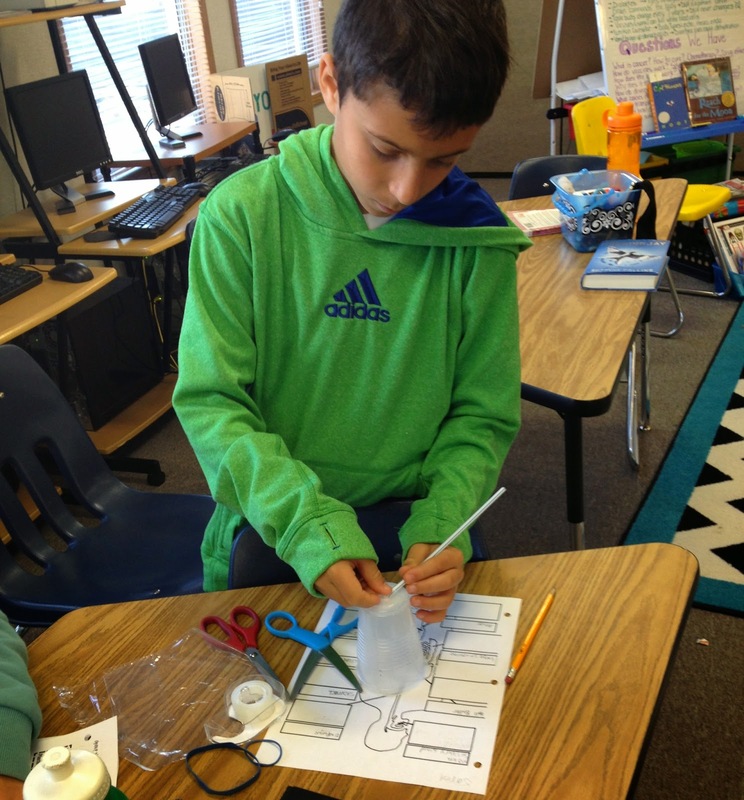 I will pose a problem, and students discuss different ways of solving it. Some of those ways are correct, some are not, but in the end, we all decide on which (correct) way makes the most sense for each of us. Very rarely do I have a classroom full of students who are solving a math problem the exact same way. I LOVE IT! 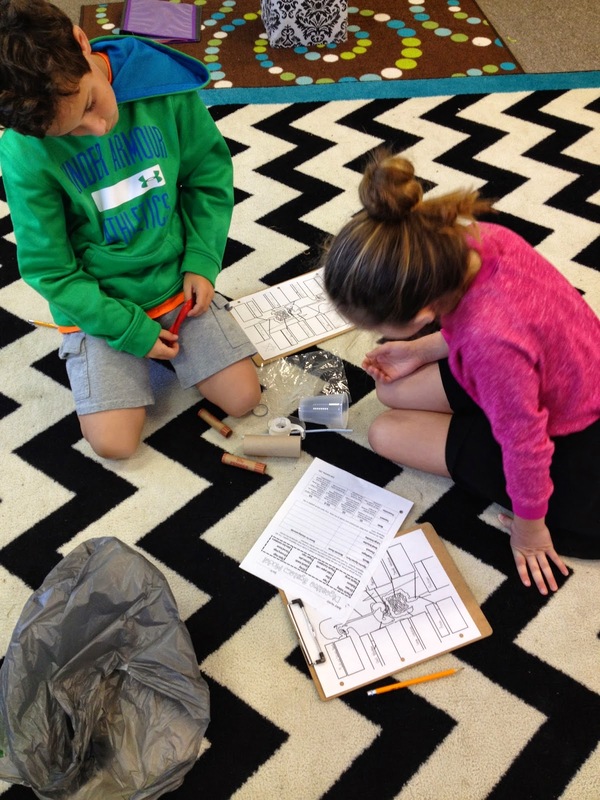 I am thinking about doing a full blown Investigations week with our next concept with posters, markers, and presentations. 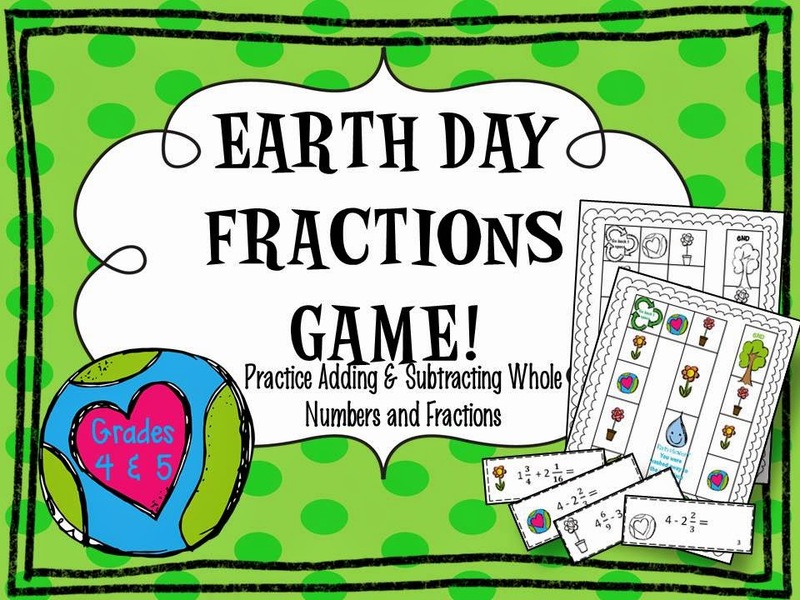 To practice adding and subtracting fractions with like and unlike denominators in a fun way, I created this Earth Day themed game! 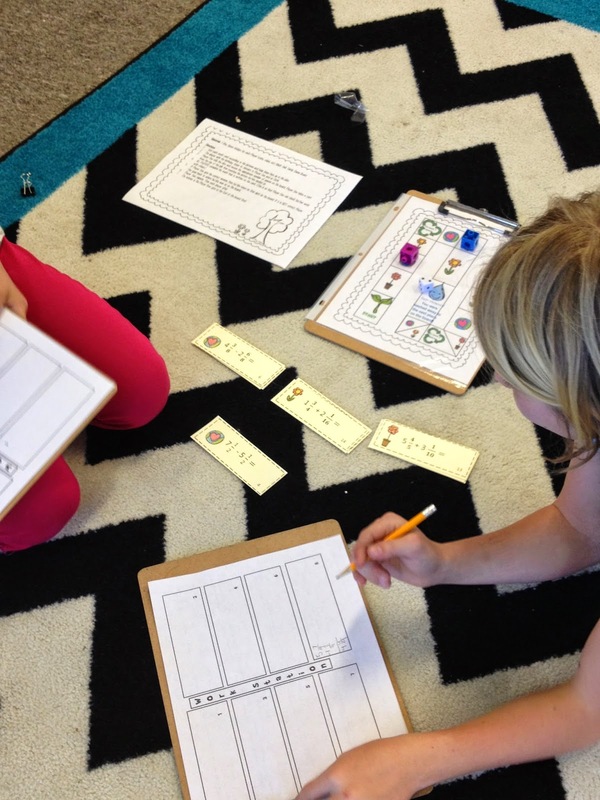 I always love games because I can work with students one-on-one, if need be, while everyone else is occupied with their learning. Also, I love to watch students help teach each other a concept. There is so much learning going on while I watch a student explain to a friend the way to solve a math equation. 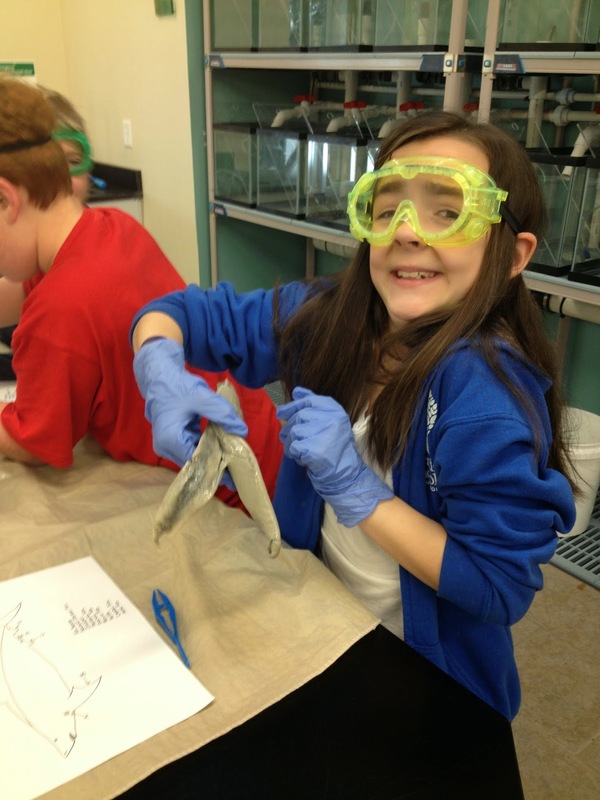 I am also doing some learning about each of the students involved in the interaction. 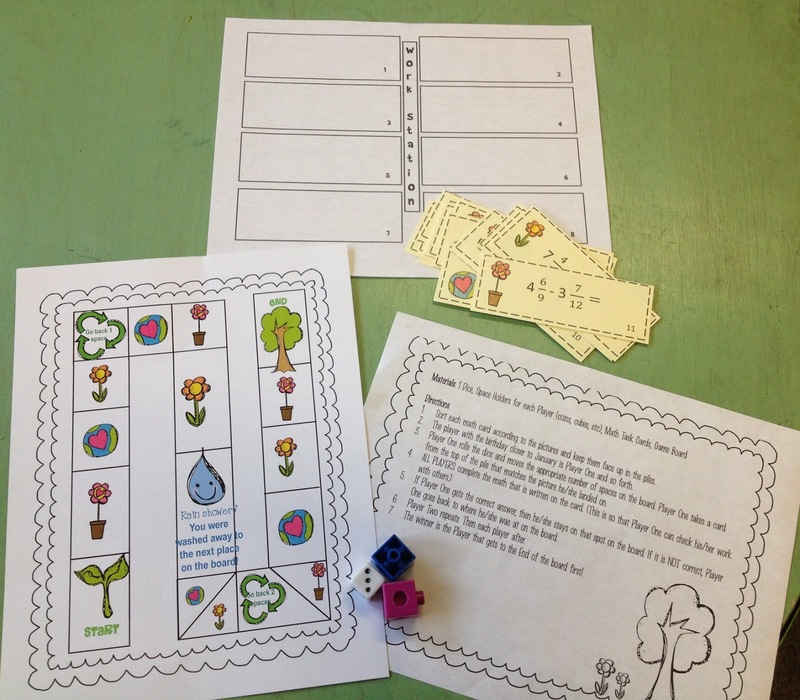 To begin, each pair of students receive directions, a game board, dice, 2 cubes, and game cards (math task cards). Students sort the game cards according to the pictures. Then Player One rolls the dice and moves according to the number rolled. Player One chooses a card from the pile that matches the picture he or she landed on. 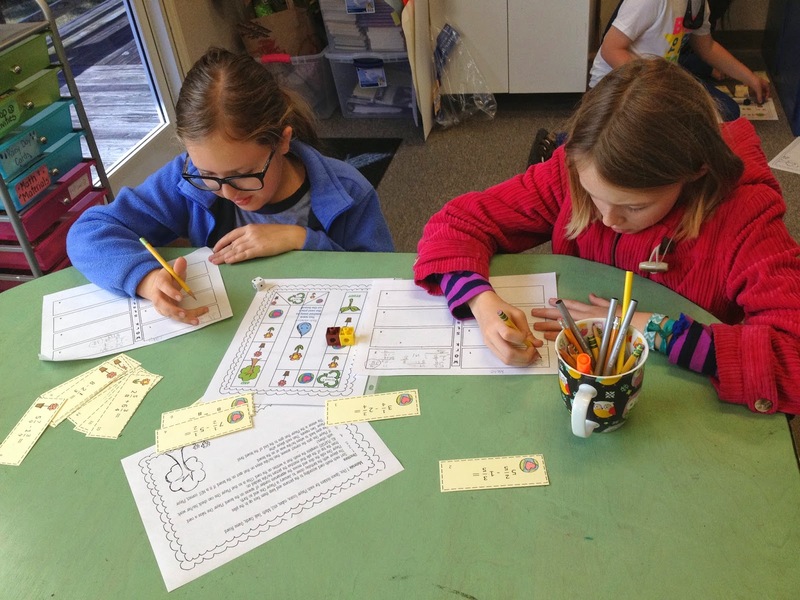 Both students solve the math problem that is on the card on the sheet titled "Work Station". Students then compare answers. If Player One is correct (assuming they are if both partners get the same answer), he/she stays at that place on the board. If he/she is not correct, then they go back to the original space on the board. Be aware of the recycle symbol, you may have to go back one or two spaces! The raindrop signifies a rain shower washed the player ahead one space! 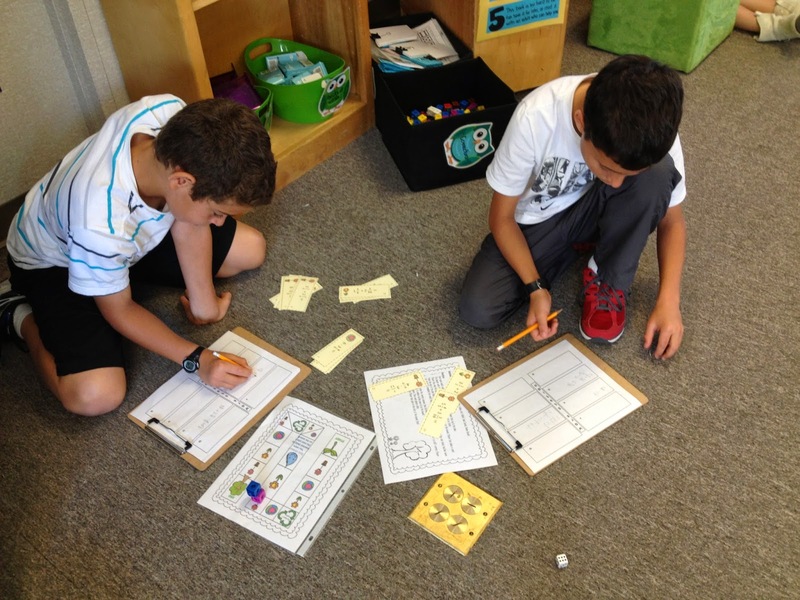 Students had a lot of fun playing this game and after about 20 minutes, they still did not get through all of the math problems. It was awesome practice and I was able to do my informal assessments of who is successful with what and who needed some one-on-one reteaching. It was a lot of fun and of course, this is available in my Teacher Store! 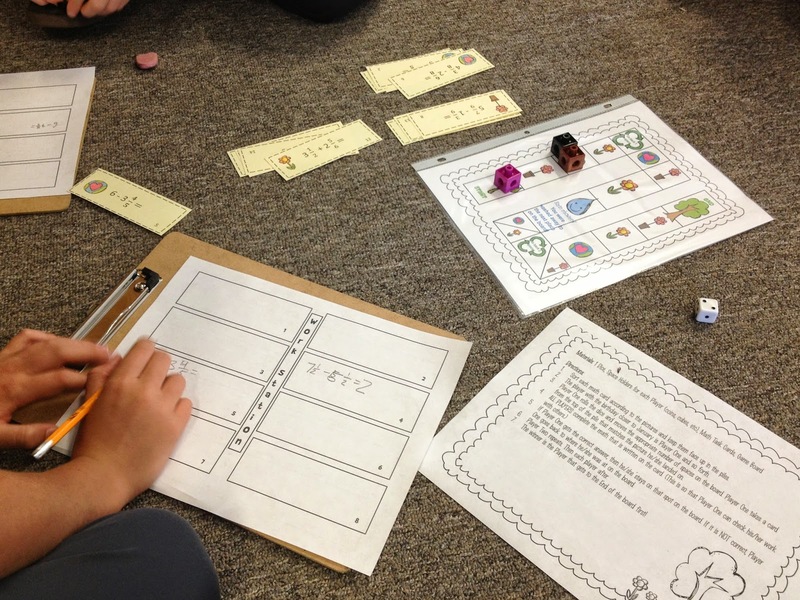 How do you make learning math fun in your classroom? I would love to hear about it!